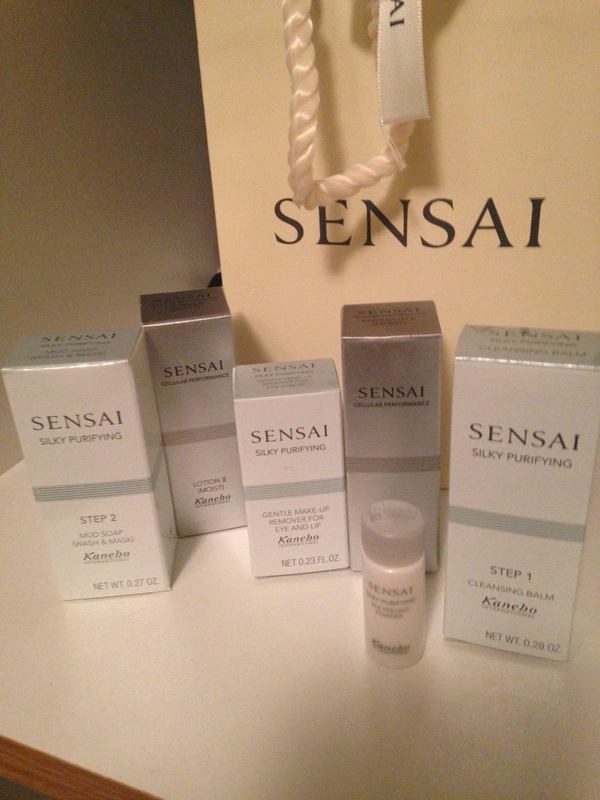 Thanks to Blog Addict, I was able to try out some Sensai skincare products. I love trying out new skincare products especially good quality products such as the Sensai range. My favourite product of the bunch is the Gentle make up remover for eyes and lips. I especially love it because it’s suitable for contact lens wearers (which I am) and it doesn’t have any effect on my lenses whatsoever when wiping off eye make-up. It is really gentle to these delicate areas but strong enough to remove the make- up. The cleansing balm doubles up as a make- up remover and I love the fact that it doesn’t drip off my face when applying it! It has a unique texture which transforms from a creamy substance into a liquid on skin. The balm contains Almond oil and Orange oil which are mild cleansing ingredients. The Mud soap (It literally looks and feels like mud) can be used as a cleanser or a mask. It can be used 2-3 times a week to get rid of make-up and dirt clogged inside pores. I think this is an awesome cleanser especially for oily skin. The Lotion Moist and Emulsion Moist are super luxurious and light. It provides just the right amount of moisture without leaving the skin oily. It is also serves as good base for foundation and make-up. I haven’t tried the Silky feeling powder as yet but it serves the purpose of an exfoliator which is aimed at creating a brighter complexion and less visible scarring! I will let you know how this goes! Visit the Sensai Counter at Edgars at the V and A waterfront if you want to find out more about these products and more.